Whether at home of on the road, this merry monster satisfies every appetite! The eyes can be moved with two fingers and his mouth opens wide, wider, widest. 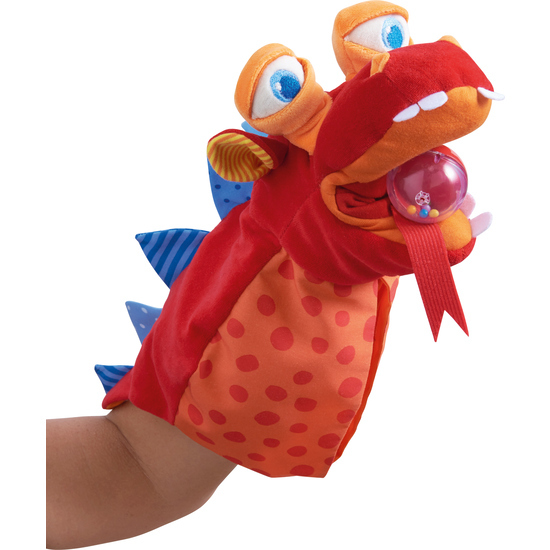 When eat-it-up is fed with the fabric ball, it lands inside the puppet in his belly bag, where children can retrieve everything Eat-it-up devours!